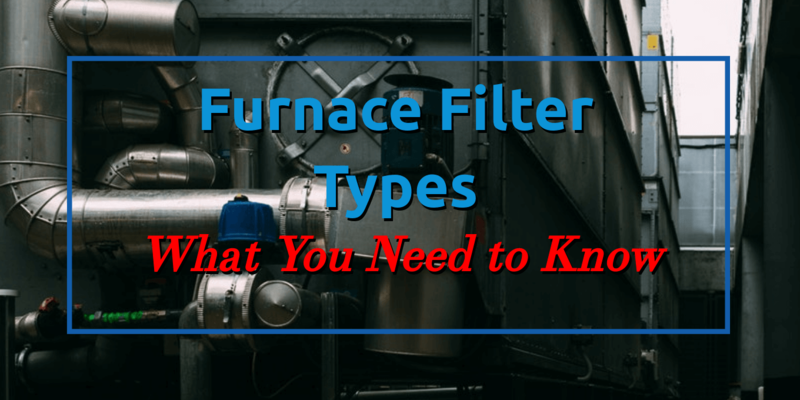 It’s not commonly known that there are different types of furnace filters on the market. Not all furnace filters are created equal, and knowing your options could make you a more savvy filter buyer when it comes time for a replacement. You might already understand how a furnace works, but for the uninitiated: a furnace draws in air through return ducts, warms the air over a heat exchanger, then blows it out through the ducts that run throughout your home. The purpose of a furnace filter is to protect the fan that blows out this air from particulate matter that gets pulled in through the return duct – hair from you and your pets, dust, fibres, and anything else that might be light enough to get sucked in. While it isn’t the stated goal of the filter (it’s for protection above all else), these contaminants won’t be recirculated through your home, helping your indoor air quality. Check your manual or the inside of your furnace door to see what the filter size is. Once you have this information, it’s time to go shopping! Different filters vary in thickness, size, and length. The most common ones you’ll find are disposable pleated filters that are 1” in thickness. They’re made out of polyester and paper and, despite being cheap, do a pretty good job of removing particulate from the air. They’re about $30 – $40 in price. Disposable fibreglass filters are much cheaper, around $6 – $7 in price, and you get what you pay for. They are often much lower in quality and have lower MERV ratings (see below!) than other kinds of filters. Reusable or washable filters are the highest quality because they have to be made from materials that won’t break down after a month and a half. Usually, they come in plastic or aluminium frames and the material is thicker, allowing them to be vacuumed or hosed off. If kept in good condition and cleaned regularly, they can last you up to five years, but you’ll have to pay for this investment. When looking at new filters for your furnace, check the Minimum Efficiency Reporting Value (MERV) rating. The MERV rating tells you how much particulate matter the filter can remove from the air on a scale from 1 – 16; the higher the rating, the more it can remove. 1 – 4: Perfect for a smaller home, it takes out pollen, dust mites, textile fibres, and even sanding dust. 5 – 8: Larger homes, commercial buildings, and industrial centres should use, at a minimum, filters of this MERV rating. It can remove particles as small as hairspray! 9 – 12: The best for mansion-sized homes, large commercial buildings, and hospital laboratories. 13 – 16: Unless you’re a hospital or a smoking lounge desperate to filter out the smoke, you probably won’t need filters with this MERV rating. It all depends on how good the filters you purchased are, as lower quality filters can degrade and block up more quickly than a filter made from high-quality materials. If you have pleated disposable filters, check on them every month (for blockages, mostly) and replace every 90 days. Disposable fibreglass filters should be changed every month at least, as they are much more flimsy. If you’re looking for more on furnace filters go back and read our Furnace Filters 101 article for a more detailed perspective on filters and furnace care. This entry was posted in Heating, HVAC HEPA Filters, Tips and tagged cleaning, filters, furnace, heating and cooling, keeping warm, Premier Heating & Cooling.